A Guide To The Cleanest And Filthiest U.S. Beaches : Shots - Health News An environmental group has issued its annual report on the nation's filthiest beaches, where a day in the water can mean skin rashes, stomach flu and respiratory problems. Who made the list? San Juan Creek meets the Pacific Ocean at Doheny State Beach in Dana Point, Calif. The poor water quality off Doheny State Beach put in a list of worst beaches in the U.S. If you thought sharks were the scariest threat at the beach, you might consider the lowly bacteria lurking in shore waters instead. For the 22nd year in a row, the Natural Resources Defense Council has issued a report on the nation's filthiest and cleanest beaches. And the group found that the number of days beaches were closed or under health advisories last year hit 23,481. That total is the third-highest in the report's history, only one notch better than last year's results. Bacteria in the water are the main safety issue. The group's beach ratings factor in various potential health hazards, including pollution levels and the quality of beach monitoring. 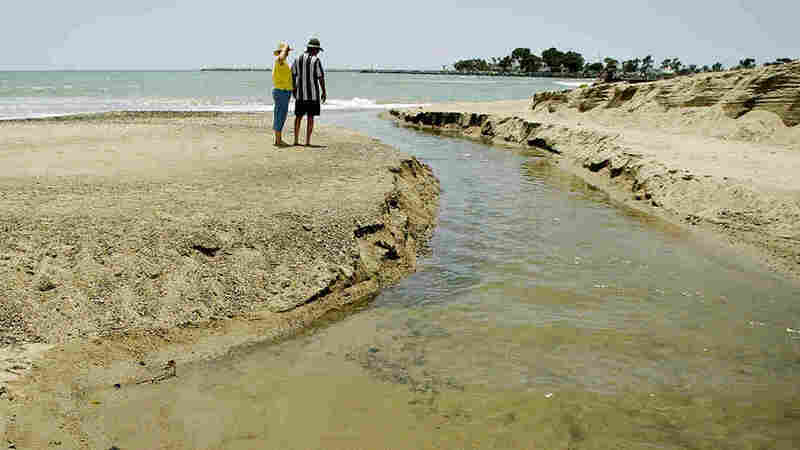 In findings that echo rankings released in the last few years, Avalon and Doheny beaches in California and several beaches in Louisiana were among the worst — again. Newport and Bolsa Chica beaches in California, Hampton Beach in New Hampshire and Gulf Shores Public Beach in Alabama were lauded for keeping dangerous bacteria levels low and aggressively monitoring water quality. In all, 12 beaches got 5-star ratings from NRDC. Despite the group's reports, there's been little improvement in water quality. "The rate at which beach samples are worse than the recreational national standards is static," NRDC's Jon Devine said in a briefing about the findings. "Unfortunately, what we think that indicates is a real need for policy shifts to move those numbers." Harmful water bacteria often come from animal or human waste. The germs can cause diarrhea, skin rashes, stomach flu and respiratory problems. The risks are higher for young children, according to the report, who generally spend more time swimming and dunk their heads underwater more often. Most of the pollution is caused by stormwater runoff and wastewater treatment overflows. The NRDC advocates improvements in the environment to absorb rainwater, including green roofs and more parks.